Well, without making you read too much, lets come to the point. Talking about windows OS, this itself is enough smart to tackle any possible repairable errors, and specially the HDD. It itself can check for and repair even the bad sectors of the HDD automatically. But some cases are out of its boundaries. For those, we need extra monitoring and testing tools. Currently almost all the hard disks come with an inbuilt feature, Self-Monitoring, Analysis and Reporting Technology (S.M.A.R.T). As the name tells, its an awesome tools. But to get its direct advantages, we need some tools that can represenr this tool's raw data to our understandable format. Crystal Disk Info by http://crystalmark.info is an awesome free tool for that. 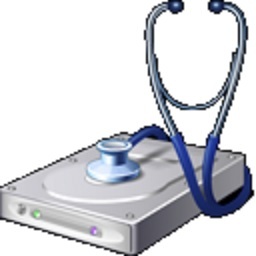 just download and isatall thsi tool from here and it will automatically show you your HDD status. Good, Critical/Warning or dangerous. This tool gathers data from S.M.A.R.T, and displays on its interface. Here is a screenshot of my system.